Mushrooms are the food that most closely behaves like a sponge. If you’ve ever thrown them in a stir-fry, you know they soak up that sauce almost instantly. They behave the same way with water, and thus conventional wisdom cautioned against washing mushrooms before cooking with them, lest they get soggy and waterlogged. Then came the contrarians. Serious Eats’ J. Kenji Lopez-Alt calculated that the mushrooms he washed and subsequently dried in a salad spinner absorbed only 2 percent of their total weight in water, hardly enough to ruin a recipe. 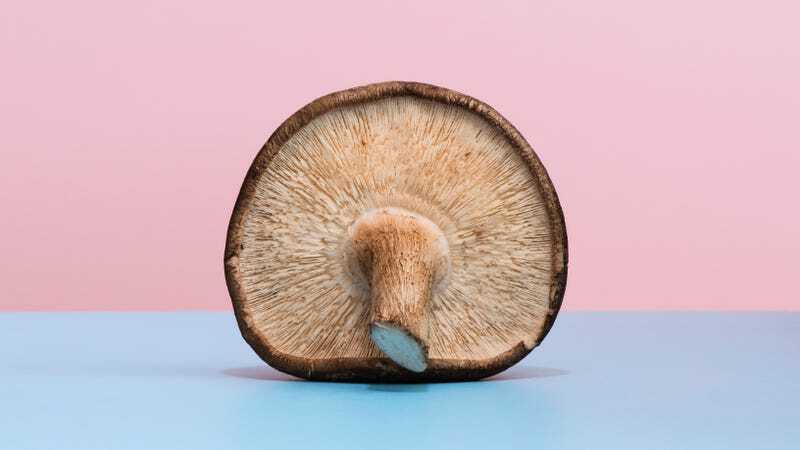 The authors of Cook’s Illustrated’s Kitchen Smarts book also found no discernible difference in texture between mushrooms that had been quickly rinsed and those that had remained dry. They suggest rinsing the mushrooms but not letting them sit more than 15 minutes before adding them to a recipe. What’s the final word? Rinsing and drying mushrooms and then using them quickly probably won’t ruin a recipe, but brushing them off with a cloth—no water—is adequate to clean them. The American Mushroom Institute’s official guidance says a quick rinse is okay, but you should never soak them. You should also take into consideration what type of mushroom you’re working with, says chef Giuseppe Tentori of Chicago’s GT Prime, GT Fish & Oyster, and Boka Catering Group. Cultivated mushrooms, he tells me, are fine to cook with as-is, but wild mushrooms might require more cleaning. “Portobello mushrooms you barely need to brush, but some black-footed mushrooms that are wild and grow in a sandy area... I cannot just brush them, I need to wash them multiple times to ensure the sand is completely rinsed off and is not grainy,” he says. But for the majority of standard, grocery store-bought Portobellos or button or cremini mushrooms, just give ’em a swipe. That’s the advice I get from Yuli Arroyo of Buona Foods, a family-owned mushroom farm in Landenberg, Pennsylvania. So, bottom line for most mushrooms: Drier is better.